No Cost Income Stream is yet another online opportunity that promises people the chance to earn real money online without having to invest a dime. Now, you can imagine why so many people would be interested in this opportunity: run your own online business without having to spend any money for it to grow until it makes you a full-time income. But can this system really help you build an online business that will make you a full-time without spending anything in the process? Read my honest No Cost Income Stream Review to learn the truth! 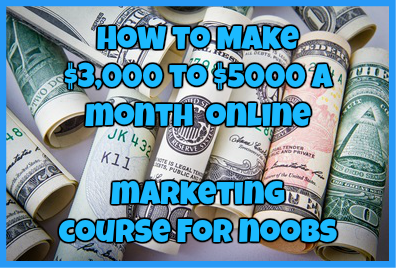 The basic overview of No Cost Income Stream is that the owner Eric Holmlund gives you’re a system that will teach you how to make money online without spending any money up front. However, this is not the first program that Eric has made. Previously he made a program that went by the same name but did not contain as much information as this latest version does. This program is packed full of useful information consisting of over 50 training videos and 4 systems that will help you to achieve a full-time business absolutely for free. This program is solely targeting people who are in dire straits and need to make money online without spending a dime. This is just one of those programs that angers me simply because I have fallen to these kind of scams when I was homeless so I hope you guys can see the potential trap in this program. In this training module you have access to various sales copies that you can implement for your online business as well as email swipes that you can send to leads and referrals for free. With this training strategy you will learn how to use freelancers to your advantage and get the most bang for your buck. Of course while this strategy is labeled “zero cost” the truth of the matter is that you need to pay freelancers for the work they do and no freelancer I know will work for free. In this strategy you will learn how to create relatively easy videos and use them to drive traffic to your online business by uploading the videos onto the largest and most popular video platform today: YouTube. In this strategy you will be given a free autoresponder and even free squeeze pages. You will also be given free traffic strategies and learn how to gain as many subscribers from them. This is the best part about this system where it will teach you how to utilize affiliate marketing to make money online. In this strategy you will learn how to find the perfect affiliate marketing opportunity for you and how to promote it properly using the first four strategies. I am not a huge fan of the support system in this program. It is a standard email ticketing system where you will have to wait at least 24 to 72 hours before you hear back from anybody…that is if you even hear back from the support. Out of all of the reviews and complaints I have found from actual users of this program, most of what I found was pretty negative. Just take a look for yourself at what some people are saying about this opportunity below. In my honest opinion I am not a huge fan of No Cost Income Stream. Not only is all of the information in this system outdated and will only risk harming your online business in the long run. What is more is that the information given is incredibly hard to follow and will only leave the average newbie feeling overwhelmed and perhaps even more confused. To top it off you will never find the support you need in order to truly succeed. 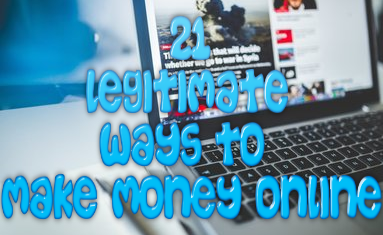 If I were you I would just stay away from this program and learn how to make money online in a legit way that will actually help you to succeed online and start earning money as quickly as possible. Have you purchased the No Cost Income Stream system? If so, what did you think of it? I would love to hear from you in the comments below! ← PayForYouth.com Review: Here Comes Another Scam! I disagree with your post about the No Cost Income Stream training. It offers a lot of great material about setting up different income streams using free resources and how to’s. It’s obvious you have never used it. There is nothing in it that will hurt your business in the long run. It is also offered on JVZOO which is a much better platform than Clickbank. So many people want to have their hand held instead of taking the initiative to learn on their own. People like that will never be successful at anything. Many thanks for sharing this review on No Cost Income Stream. Your review is one of the most comprehensive and I got some great insights. Thanks for sharing this valuable information to help people like me. Keep rocking and posting this type of informative reviews. All the very best! I will come back to your website to learn more information.